Part one of this collection features The Experience’s October 9, 1967 performances at Paris’ famed L’Olympia Theatre. 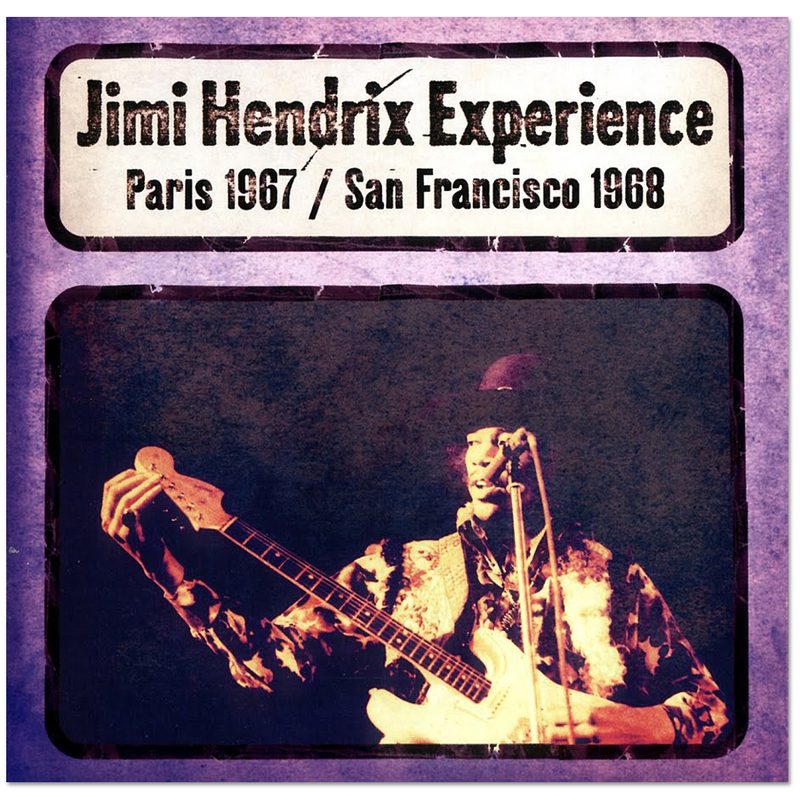 These raw, direct to two-track live recordings made for French radio document The Experience's triumphant return to Paris almost one year to the date of their 1966 showcase as a support act for Johnny Hallyday. This return engagement saw an exuberant, sold out house roared their approval throughout the evening. The L’Olympia performance came just eight days after sessions for what would become Axis: Bold As Love had resumed at London's Olympic Studios on October 1, 1967. The Experience was in top form on this evening, roaring out of the gate with "Stone Free" and followed, much to the frenzied delight of the audience, with vibrant renditions of "Hey Joe" and "Fire." From Paris we move to San Francisco and The Winterland Ballroom. In the interim, the Experience had completed Axis: Bold As Love and had come to San Francisco to kick off their US tour in support of the album. Impresario Bill Graham had booked the group to perform eight concerts over four consecutive nights. The Experience performed at the Fillmore Auditorium on February 1st while The Winterland Ballroom hosted the performances on the 2nd, 3rd and 4th. Each of the eight performances were sold out.